Hi, I have made a set of transparent alphas for PixelScrapper site's 'Make An Alpha Set' challenge.. 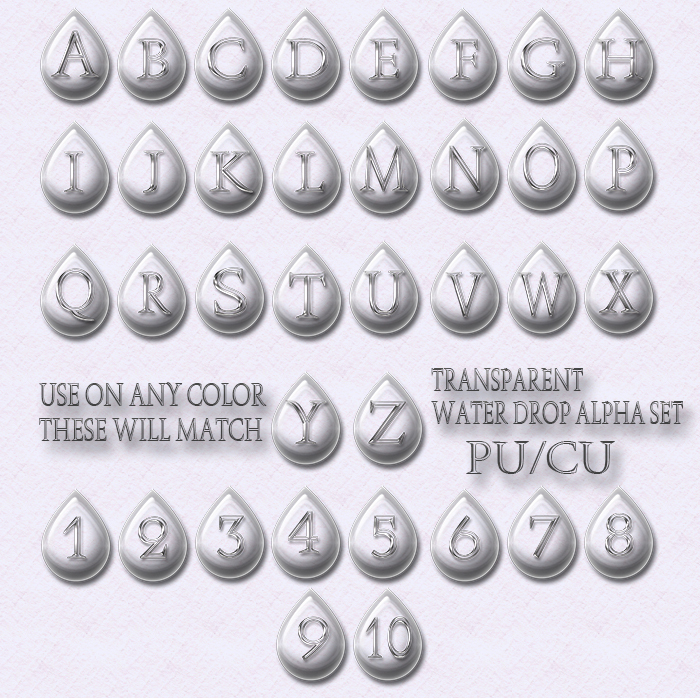 This set includes each letter in a separate png. 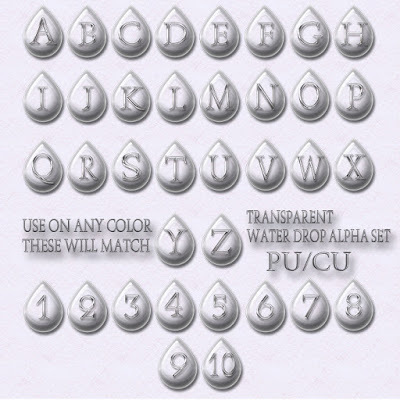 file..The letters are on transparent water drops so you can put them on any color paper and they will take the color of that paper..FREE FOR PU/CU.. These are awesome! Thank you so much for sharing all of your beautiful work.